Award-winning singer, Beyonce, dressed gorgeously to an exhibition opening inside the UTA Artist Space in Beverly Hills with her husband, Jay-Z. 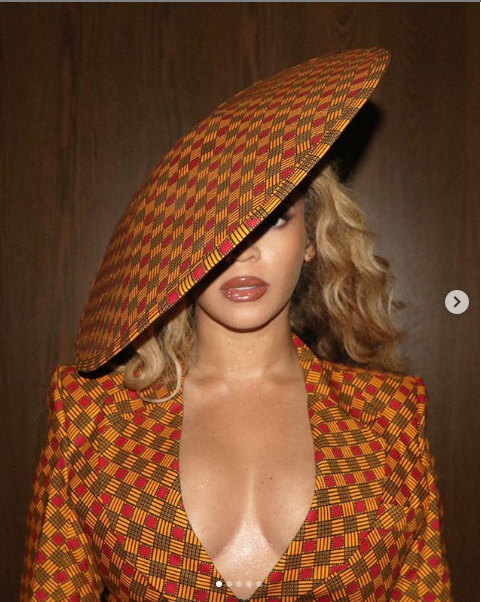 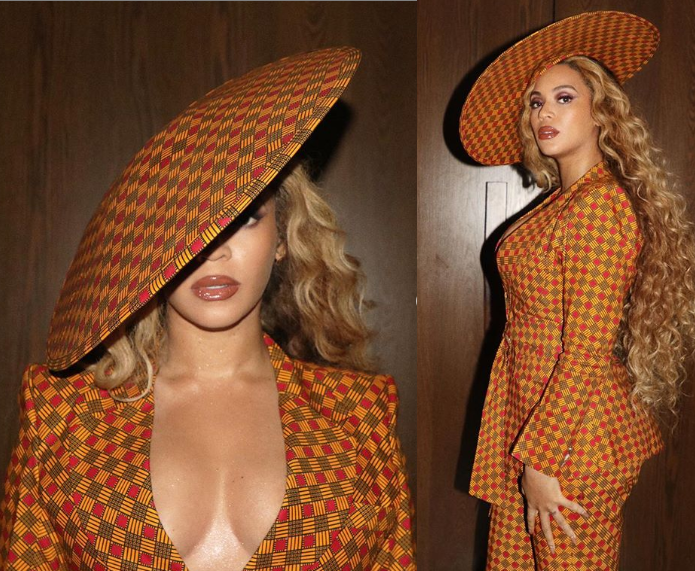 The singer is seen dressed up in a plunging Ankara suit with matching a wide-brim hat and strappy mocha heels. 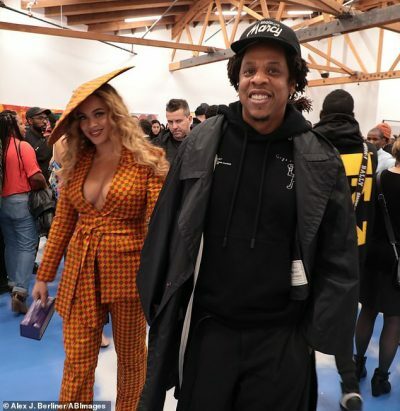 Popular rapper, Jay-Z was dressed in casual black trousers, sweatshirt, white sneakers, and a custom Marcy hat by Hood Hat.